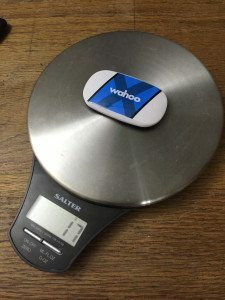 Wahoo TICKR X Review - A heart rate monitor and a lot more! 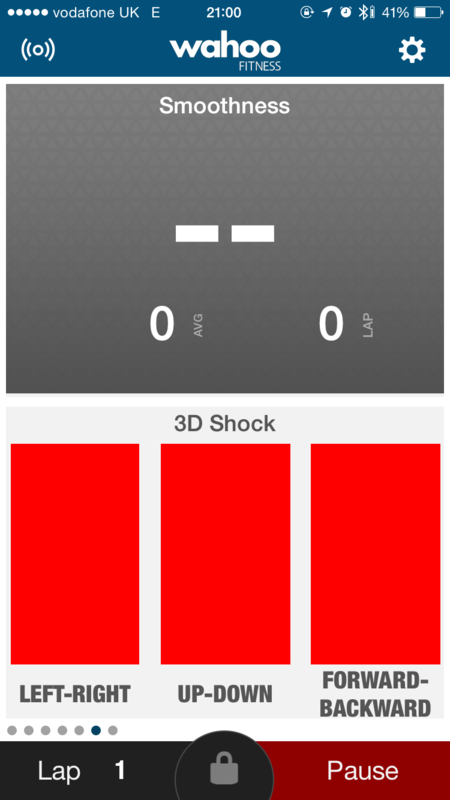 Wahoo TICKR X Review – A heart rate monitor with special skills! 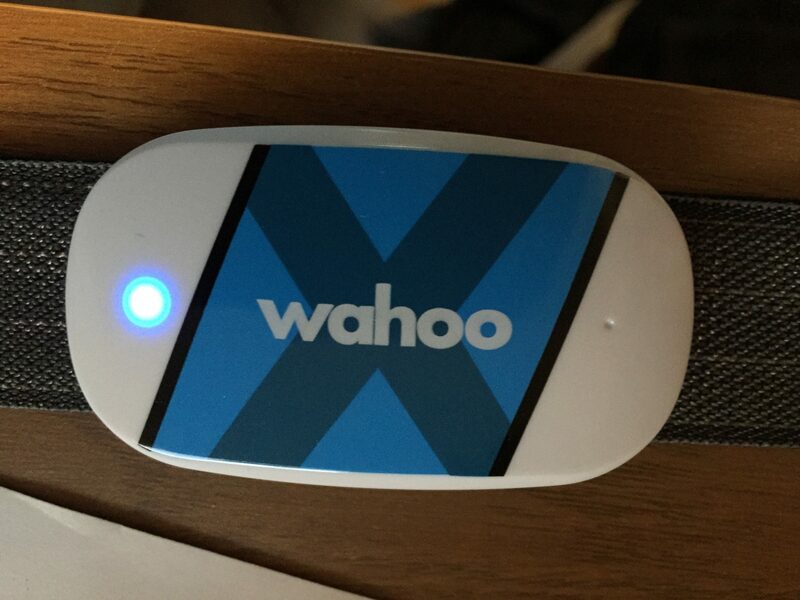 Wahoo makes several different heart rate monitors, the most expensive of which is the Wahoo TICKR X. The heart rate monitor for years has been a relatively simple device. So what special sauce has Wahoo spread on the TICKR X to justify it’s £79 price tag? Ok lets start of with the basics. The TICKR X is a reliable heart rate monitor, that functions over both ANT+ and Bluetooth LE, which makes it a platform agnostic upgrade over most manufactures bundled heart rate monitors. Being platform agnostic is always a good feature in my experience. By covering both data protocols it means that you are going to have to search in order to find a device that the TICKR X doesn’t play nice with. When you first handle the TICKR is feels – light. Not flimsy, but different to the Garmin HR-Run. That feels like a solid and weighty, piece of hard plastic, where as the TICKR feels hollow and light. The TICKR feels like there is stuff inside. This brings me to the first of the unique features of the TICKR X – if you’d managed to forget, or loose all of your other sports devices, it works on its own! There are a lot of people who use their phones for sports applications, such as Strava and Myfittness pal. For biking, you’d usually got somewhere to store your phone. But when I go running, I’ve not really got pockets, and if I have, I dont actually like my phone bouncing around in them, thus I tend to use a generic arm strap. But sometimes thats just a pain in the neck, or the more likely scenario I can’t find the blasted thing! The TICKR X helps out, and allows in many ways for a simpler run. It has an inbuilt memory that allows you to go running, without you phone or any other form of monitoring, which is actually quite liberating. One of the biggest issues with trying to monitor heart rate whilst swimming, is that the ANT+ protocol only transmits very short distances underwater. However a normal heart rate strap is usually able to monitor under water, its just that the data can’t be recorded. The device free monitoring over comes the hurdle from a swimming perspective as it allows you to monitor heart rate, but rather than transmitting it, the data is recorded within the monitor itself. The data is then synced when the TICKR X connects to your phone. When you next are near your phone, and the TICKRX is switched on (which is done by connecting the TICKR X to a strap) it will sync in information from that device free workout. The TICKR X has two LEDs, as mentioned above, which allow you to see that unit is working – no more “guess if the battery is dead”. In addition the TICK X has a built in vibration motor, this is used in many ways in the device. It be set to vibrate as a notification of distance, so every 5km e.g. it will buzz, meaning you dont have to keep checking your phone. The buzz also works as a confirmation of the Double Tap function – the BEST idea ever! Not in fact a way of making sure you have killed your mate who you are running with. The TICKR X can be programmed to respond in various ways when you rapidly double tap the unit when wearing it. 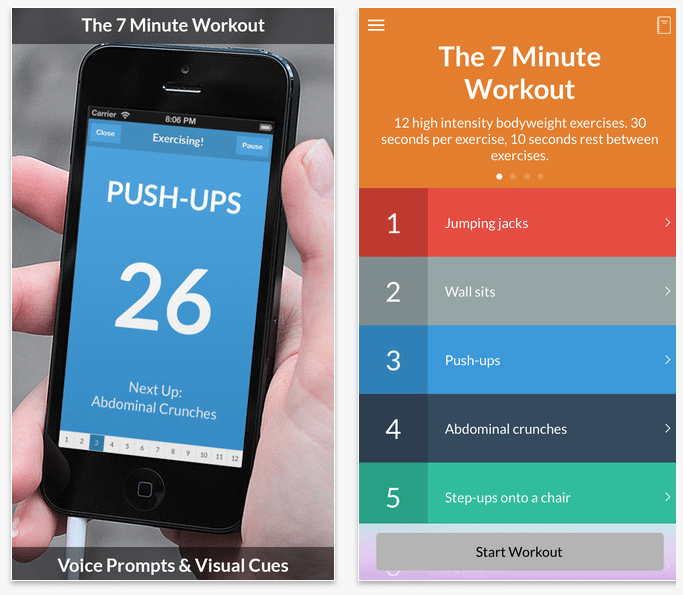 When doing a device free work out, the double tap acts to place a marker on our work out, e.g. laps, breaks, start of a segment etc. Personally I have it programmed to skip track, It’s such a simple idea, but used to great effect. I’m amazed no one has thought of this before. Yes the Garmin Fenix 3 has an app to change music as well, but you have to find it, look what you are doing, using fiddly buttons. Here you just tap your chest. Priceless! You know that the double tap has been registered as the device buzzes. The third TICKR X special trick, which is also found in the TICKR Run. 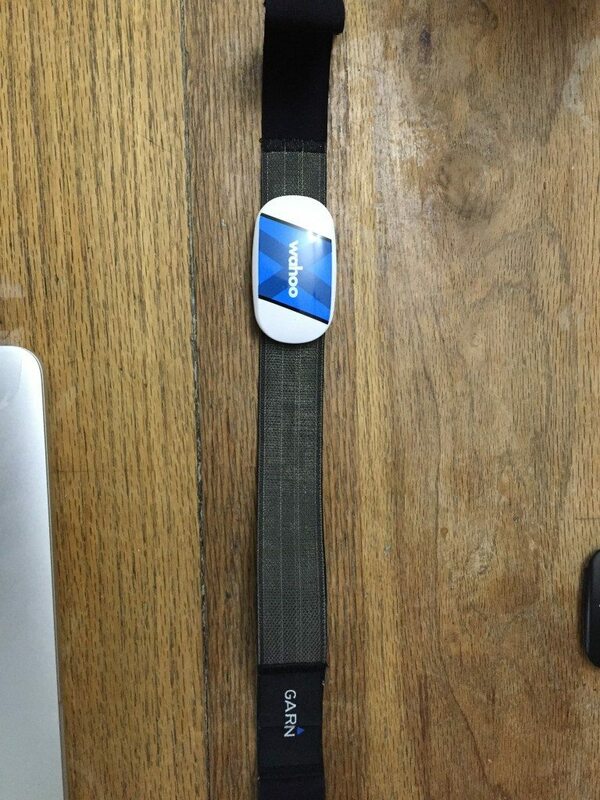 Here the internal accelerometer is able to measure running specific metrics of cadence, ground contact time, and pace. All of Wahoo uses together to create their Running Smoothness score – which is an easier end user way of looking at your running efficiency. Using this accelerometer data is how the Wahoo TICKR X is able calculate your pace and distance when calibrated using a treadmill. 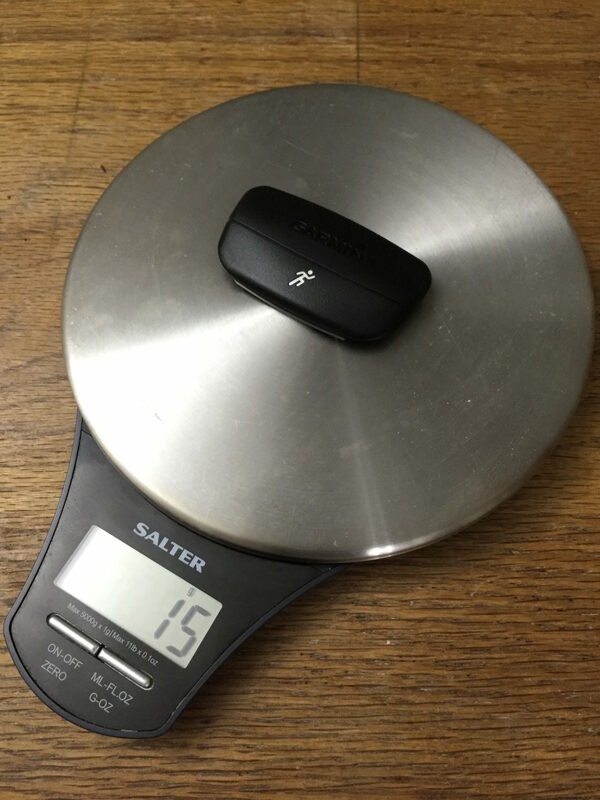 In addition, the TICKR X is also able to lever the accelerometer data to calculate biking cadence when using a turbo trainer, showing how adaptable the device is. 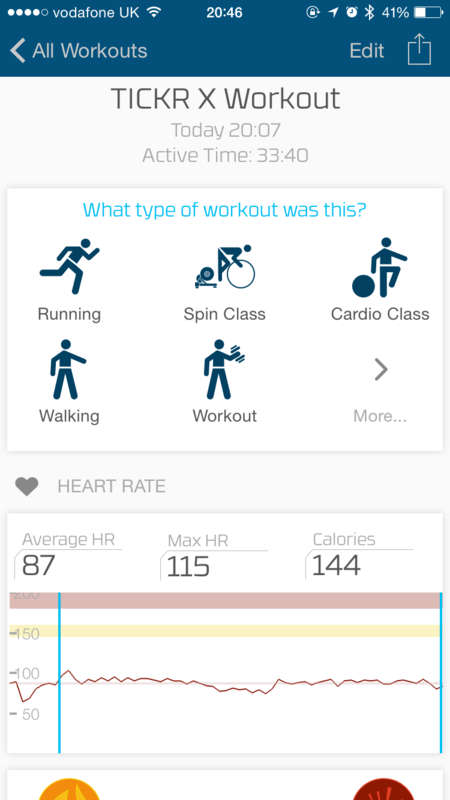 Currently as of MAY 2015 there is a bug in the Wahoo Fitness app preventing it from displaying the running smoothness data at the end of a run – it is expected that an update to the software rather than firmware will address this issues shortly. Garmin has a wonderful series of running metrics called Running Dynamics. The TICKR contains the ability to monitor the same sort of metrics, but currently as Garmin HR-RUN straps, needed for the Running Dynamics, transmit that information on a “private ANT+” your Garmin watch can’t use the Wahoo running metrics – which is a shame. However it should also be noted that Wahoo is currently seeing if there is any way to have the Running Dynamics put on a public ANT+ protocol, which would also allow other companies access to the running dynamics data, and to do things with it. The corollary here would be if simple heart rate data was only on a private ANT+ channel, you wouldn’t have the plethora of companies, like Strava, and TrainerRoad doing to great things they do with public ANT+ data. 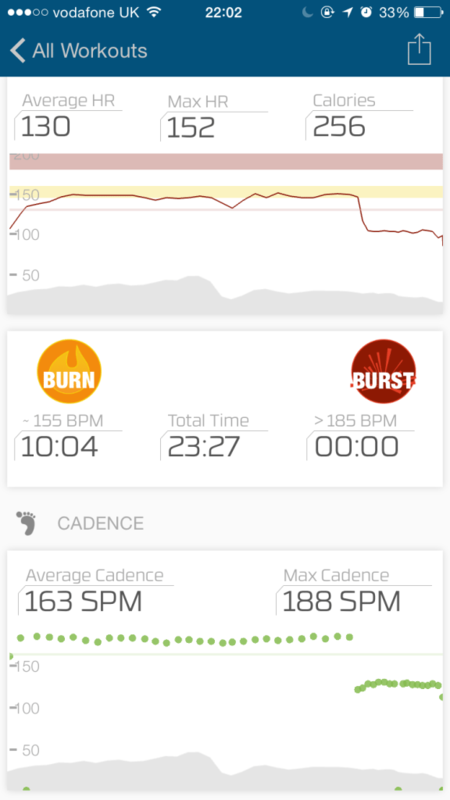 In addition the regular open data on the ANT+ protocol, the Wahoo TICKR X also appears to share another feature with other heart rate monitors. It fits any other heart rate strap. The “X” in TICKR X, refers to the fact that the device is expandable. The firmware can be upgraded to include new functionality. The 7 minute work out is based on 7 body weight exercises, to be performed over 1 minute with 30 secs rest in between. 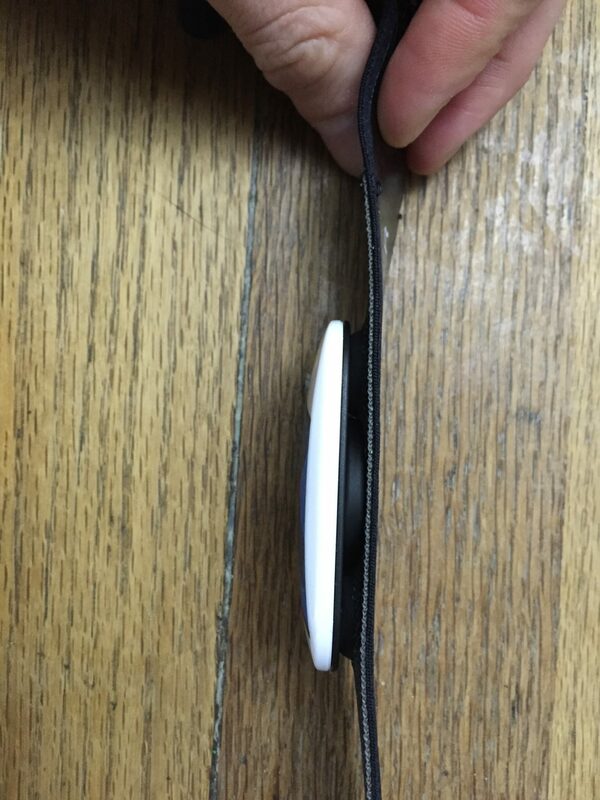 The accelerometer is used here to determine the number of reps, and the smoothness to which you are doing a rep. If the TICKR X notices that you are performing an exercise incorrectly, it will buzz through the app and device. The TICKR X is expensive. No question. However for the sheer level of functionality gained I certainly think its worth it. Finally, and this is a rare feature in main stream heart rate monitors, the ability to monitor heart rate whilst swimming. Plus the “X” moniker hints at the ability to further expand functionally with subsequent firmware/software updates, as has been seen with the 7 Minute Workout.